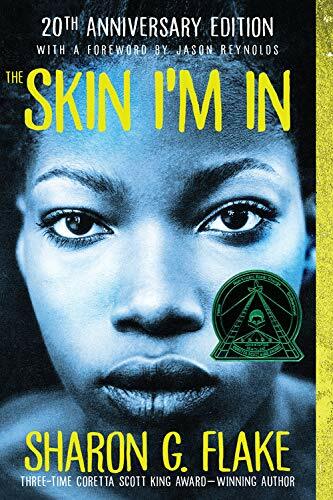 I had never read this book before and I am so glad that I did find it as it was a very powerful book. While it was written for YA audiences, as an adult I was drawn in by this book and I found it to be a very compelling read. The book itself shows a main character that really shows courage to confront a bully, but it also is a coming of age book that allows you to see how the main character has to learn to eventually accept herself. 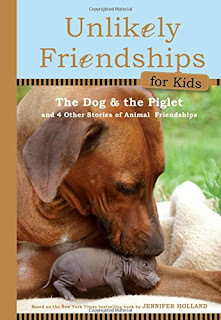 This was a wonderful book that allows kids to see how animals can show love to many beyond just their own species. Whenever I hear stories like this I get a smile on my face as it shows you that animals large and small can come to show love to any and all. This book really shows how compassion and love will win the day in the end. 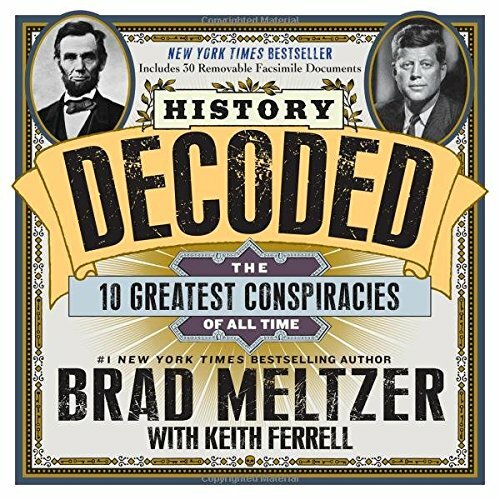 Brad Meltzer is awesome! 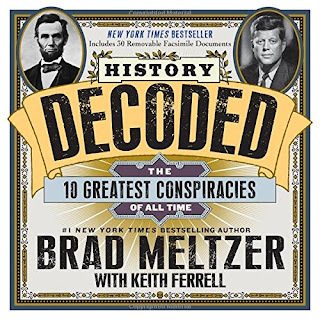 He goes so far into depth into all that he does and this book really does an amazing job at exploring so many important points in history. The book is beautifully made and could really be used as a coffee table book. The book looks at a number of possible conspiracies, but it explores each in a balanced way and does not just look at the event from one vantage. My daughters love history and this book was one that I saw them coming back to over and over again! While I knew some of the facts and figures from some of these, there was much that I did not know and I was so glad to have learned it through this great book! Their mission is to deliver a better value for your investment. 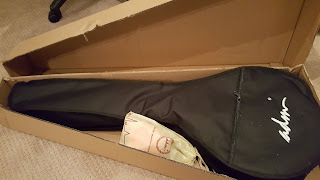 As a professional musical instrument supplier with overseas factories and powerful supply chain resources, All Days Music provides high quality, hand crafted instruments at an affordable price. Whether your target customers are students, musical educators or professional musicians, you'll find a variety of quality musical instruments stringed instruments, fretted instruments, wind instruments and percussion, case and bag, accessories etc. at very competitive prices. All instruments are quality checked by professional technician before shipping. As someone that had never tried banjo before I was interested in getting an instrument that I could start using right away and having a kit that had everything that I needed at first was perfect for what I was trying to do. Also, because I had never tried this before I had no idea how easy or hard it would be but I knew that I was more than willing to put the work in to see what I could do to make some great music in the end. As I opened this I was impressed to find everything that I needed to start playing included. 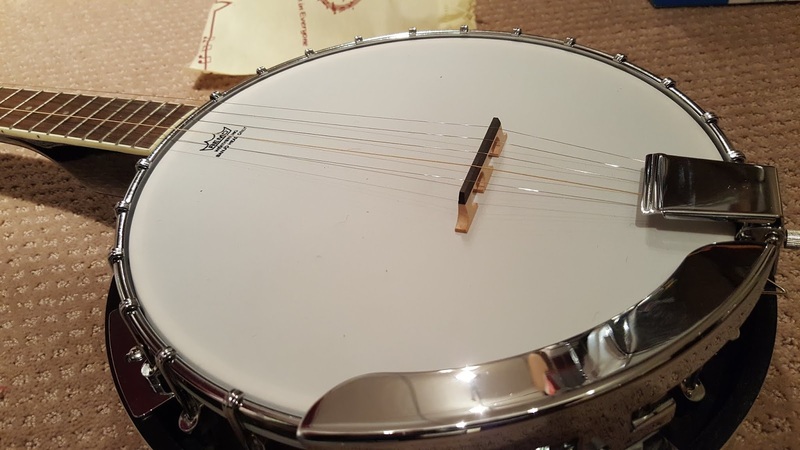 You get picks, string, tuner and more. All of this makes it a great beginner instrument. 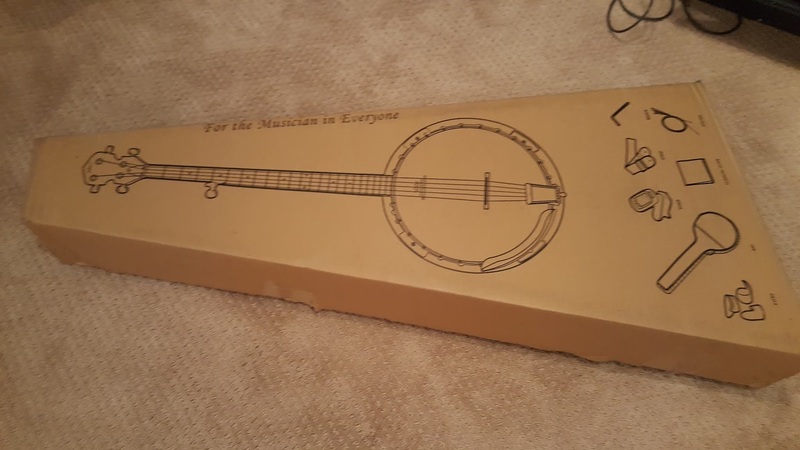 Also, the instrument is very well made. It is sturdy and with the strap that you get, you can be ready to start picking as soon as you get this. As I started to try this our I found that the strings were pliable and not hard to press down which definitely makes my fingertips happy in the end. I found the the tuner that you get is ok. 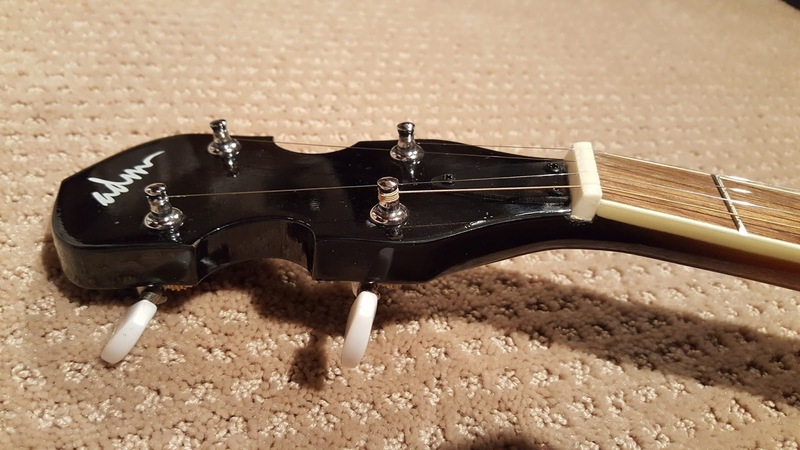 I already had a more expensive tuner that seemed to be a bit more sensitive, but if this was all that you had this would work fine. 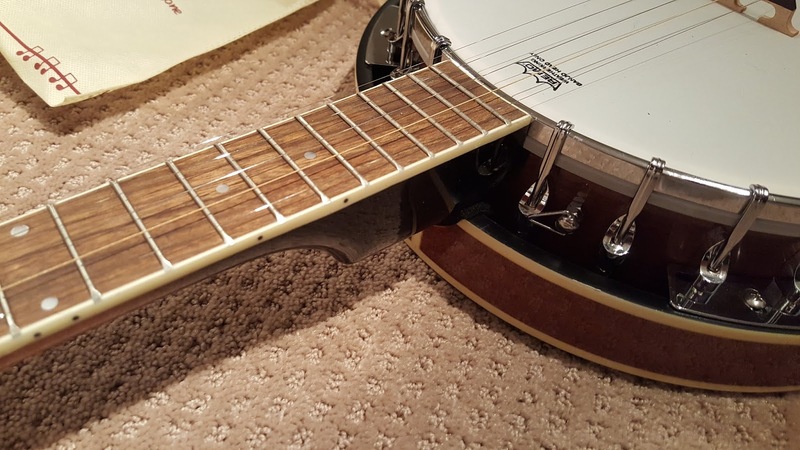 One thing that I will note is that the straps are less expensive straps and with the metal clips you may end up scratching the finish. If you do not want this to happen you may want to purchase one that is a little more expensive. 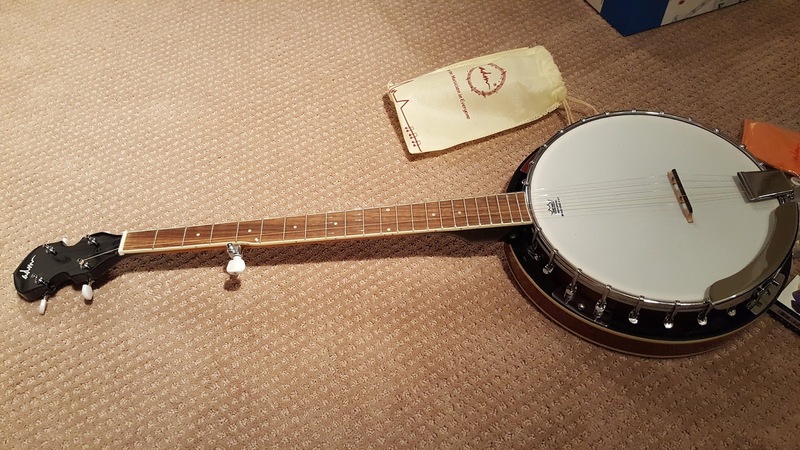 Many banjos are much more expensive than this, so for the price, you are getting a well made beginner banjo that will allow you to get picking. It allowed me to do the same and I am so glad that I did. I have a long way to go to be an expert picker, but I will say that this is helping me work toward my final goal of playing in front of others! 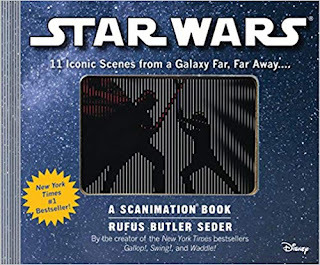 Imagine: the first Star Wars book that actually moves, bringing to life the most memorable scenes from the epic: Obi-Wan battles Darth Maul The Millennium Falcon zooms away from an exploding Death Star Luke rides a galloping Tauntaun, Yoda twirls his green lightsaber, Boba Fett blasts up, up and away! And of course the most memorable scene of all―red and blue lightsabers flashing, Luke and Darth Vader fight the ultimate battle between good and evil. It’s a marriage made in a galaxy far, far away: phenomenal Scanimation meets Star Wars, the enduring epic that’s sold $42 billion in ticket sales and earned the title #1 Boys Action Toy License of all time. Created by Rufus Butler Seder, Star Wars: A Scanimation Book presents 12 of the most memorable scenes, in a landscape, i.e., movie format. It’s an homage from an artist obsessed with the earliest forms of capturing visual motion to an artist obsessed with the most advanced. But that’s not what young fans will care about―this is having pure movie magic in the palm of your hand, to replay again and again. If you love Star Wars this will bring some great characters to life for you to look at again and again. The animation works well and on each page you will be drawn into scenes that you are seeing and you will be able to re-live the scenes in a whole new way. The scenes are iconic and ones that you will love to see in action as I know that I did. While I would have loved to have seen more pages in this covering even more iconic scenes in the future. I will say that the pages do look better in brighter light due to the darkness of the scenes themselves. 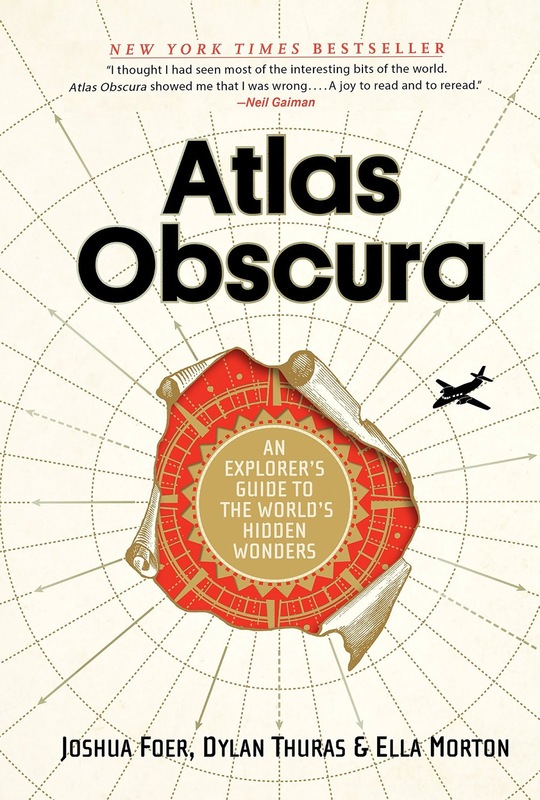 I have placed this book out and a number of people have already commented to how great this book is and asked how they could get one for themselves. Good grief, the gang’s all here! Charlie Brown, Lucy, Linus, Schroeder, Sally, and, of course, Snoopy―these cherished characters from the most popular comic strip of all time meet the magic of Scanimation. Ten memorable scenes―in clear and colorful Scanimations, with smooth-flowing, detailed images―are brought to life in the book, each accompanied by the inspiring words of wisdom from Charles M. Schulz that make PEANUTS so special. Charlie Brown runs to launch his kite, with the caption “Sometimes there are things you just can’t resist doing.” Snoopy does his happy dance: “To dance is to live.” Lucy skips rope: “Life is more than just lying around.” Plus Schroeder plays the piano, Snoopy battles the Red Baron, Sally dances with Linus, and Charlie Brown tries to kick―and of course, as he will for all eternity, misses―the football. PEANUTS is one of the most beloved and best-known brands of all time. Every day over 45 million people read the strip; its animated specials have aired on television for the past fifty years (growing in popularity―A Charlie Brown Christmas was the highest-rated prime time special in 2012); it has millions of Facebook fans; and in 2015, to celebrate the 65th anniversary of PEANUTS, 20th Century Fox will release a 3D animated movie. And now, Scanimation. It’s PEANUTS―funny and wise and beloved, forever a part of our lives―like you’ve never seen before. If you are a fan of Peanuts comics and their characters you will love this book. 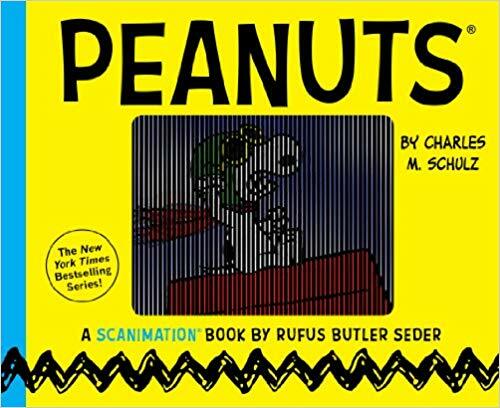 As a scanimation book with every page you will see a scene from The Peanuts and by slightly tilting the book the image will become alive. Also on each page is a quote from the scene. There did not seem to be any cohesion to why images were next to one another, but for me it was great to be able to see the images come alive and great to see the Peanuts characters in a whole new light. This is a great book that incorporates so many Gods and Heroes from all over the world. The book shares these in so many fun ways. The book is very complete look at so many characters from throughout mythology. As someone that loves myths this book has so many that I have heard of before, but also ones that were more obscure. 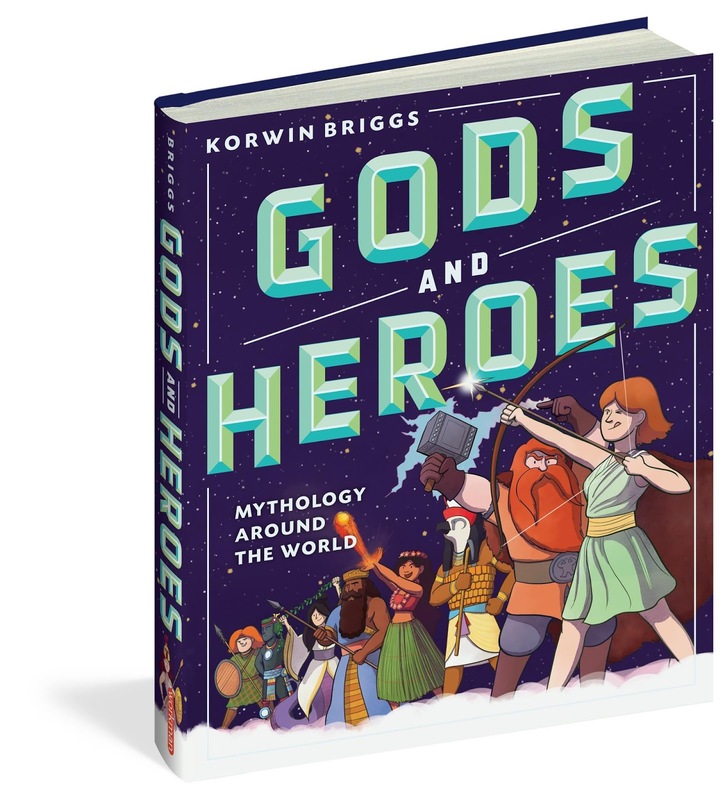 I learned a ton from this book and this was definitely something that I would recommend to anyone that is a fan of mythology. 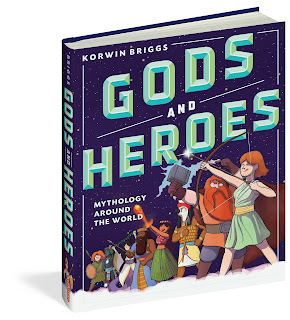 The book would also be a great book for young readers that want to learn more about mythology. 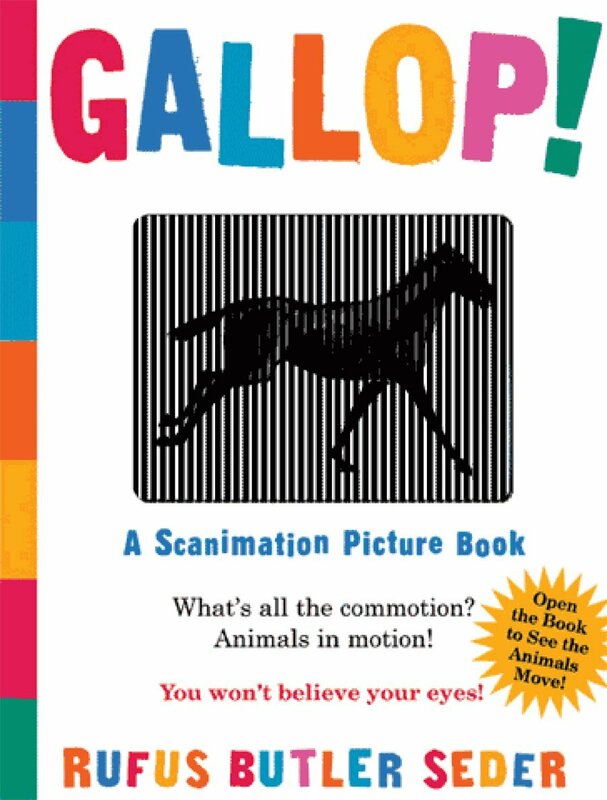 What a fun book that brings moving images together on every page and with a slight tilt of each page you will see the image moving along with you. 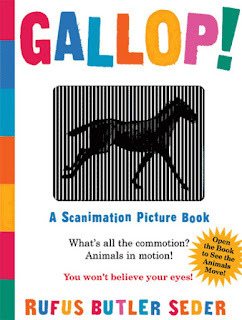 My daughter is a big fan of horses and she loved this as it allowed her to see horses moving on every page. 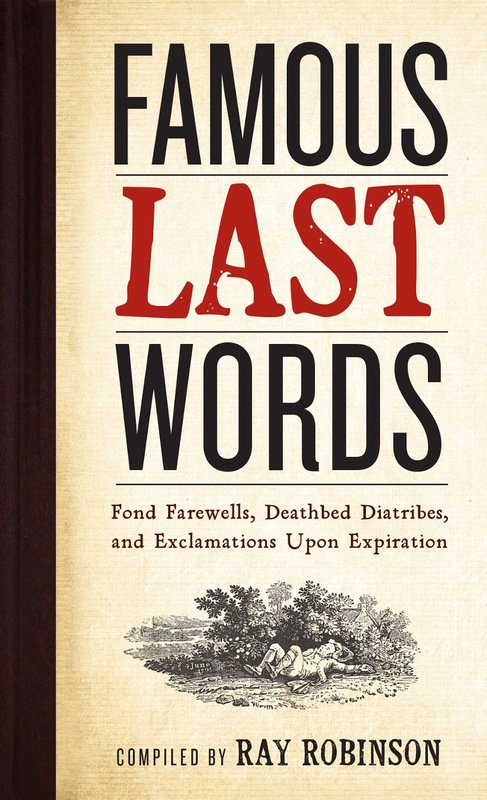 A collection of the notable last recorded words of the dying, Famous Last Words is, unexpectedly, bursting with life, hope, wisdom, and often laughter. Here are writers, philosophers, athletes, gangsters, kings, queens, movie stars, and politicians, in all sorts of moods and states of preparedness. Some merely want to say goodbye to loved ones, others want to create a legacy. And some are caught completely off guard, like Civil War general John Sedgwick, answering his troops' urgings to take cover: They couldn't hit an elephant at this dist-. There's the droll: It's the wallpaper or me. One of us has to go (Oscar Wilde); the blasé: How are the Mets doing today? (Moe Berg); the cranky: It wasn't worth it (Louis B. Mayer); the wistful: That was the best ice cream soda I ever tasted (Lou Costello); the optimistic: I shall hear in heaven! (Beethoven); and the overly optimistic: I've never felt better (Douglas Fairbanks). Ultimately, every one of these parting statements is a reflection of the person behind it. Each is accompanied by a mini-biography of the speaker, including the context of death, from the golf course (That was a great game of golf, fellers Bing Crosby) to a favorite armchair (Go on, get out. 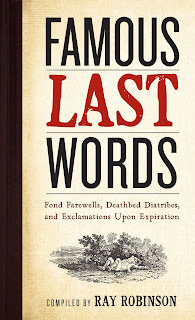 Last words are for fools who haven't said enough-Karl Marx). 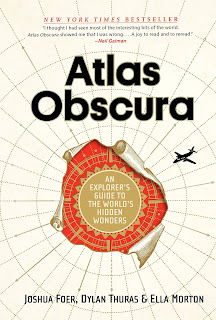 This was a great book that was not only interesting but also fun too. You may think this was morbid, but actually it was fascinating as some people's words were very prophetic. In reading this I found myself sharing the words with others and even they stated that they were so amazed at the words being shared. While this book is short, the words within it pack a punch and you will love coming back to the book over and over again! This was a book that I was excited to give to my daughter as she loves to learn about the world around her. This book has so much information packed into its' pages. The book is set up with a great table of contents that will walk you through all of the information. Throughout the book you will find that the images draw you into the book and is visually amazing. As my daughter read through the book she would bring the book to me and show me different parts of the book saying how much she loved the information she was learning. I can attest that this is the type of book that I love to have her read because of the amount of information that is here that really did help her learn while she was having fun doing it. 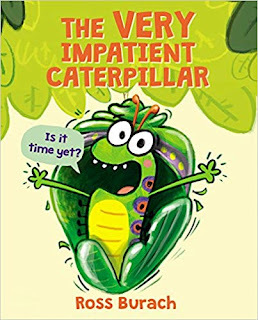 This clever send-up of every child's biggest challenge --being patient!--is a STEM-friendly, laugh-out-loud comedy about metamorphosis. This is such a fun book that looks at the process of metamorphosis through the eyes of the very impatient caterpillar. The book brings humor and education together. This caterpillar has to learn to be patient to become the butterfly that he wants to become. This is such a great book that all kids will love! Do you wish you could eavesdrop on conversations with some of today’s smartest thought leaders? LeaderSHOP provides candid talk from experts like Stephen M.R. Covey, Brian Tracy, Doug Conant, Sally Helgesen, David Ulrich, Bill George, Laura Vanderkam, Mark Sanborn, and dozens more. Coach and bestselling author Dr. Rodger Dean Duncan asks these experts the questions most pertinent to your success at work and in life. Their responses will inspire, motivate, and possibly even surprise you. And one thing’s for certain: they’ll make you smarter and better prepared to perform at the next level. 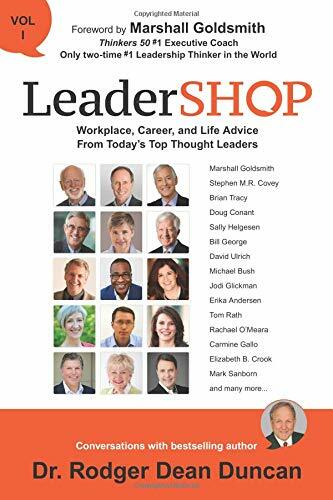 With a foreword and additional commentary by Marshall Goldsmith, the World’s only two-time #1 Leadership Thinker, LeaderSHOP is sure to become a favorite item in your personal development toolkit. This book is one that will truly get you thinking about leadership in a whole new way. The book is full of great interviews that have so much valuable insight that will lead you in new ways. This book was filled with conversations with thought leaders that will bring you on a deep dive into leadership itself. No matter what you are doing in your current role, this book is an inspirational read that will make you think larger and beyond what you know to move you to the next level of leadership. The book was easy to understand and read because of the way in which the author got his interviewees to open up and share insights that you will not find in other books. I found that as I was reading this that I would go back and re-read some of the sections as the content was that good! If you want to amplify your own leadership skills, this book is a must have! 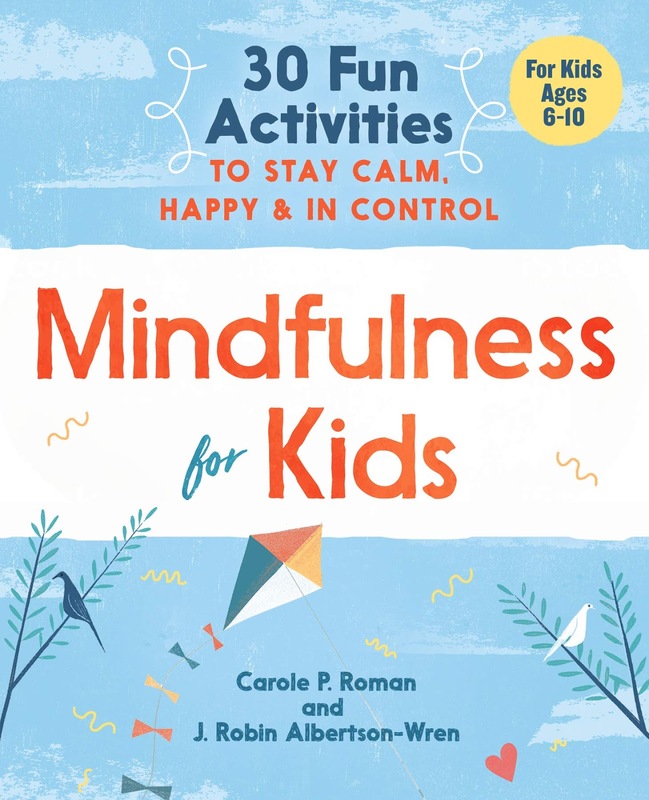 This book is filled with great stories that will help your kids to better understand what mindfulness is and what it can do for them. The book introduces kids and parents to how they can better understand their emotions and reactions to life as well as what they can do to better control their reactions as well. 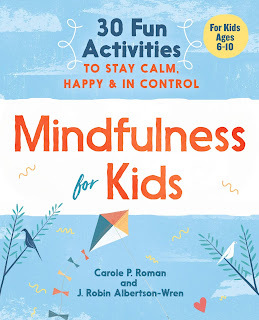 I liked how the book examined mindfulness in locations where kids reside, home, school and with friends. This made sense to me as a parent and it also made sense for my daughter as well. We read through this together and we both learned a ton. I have already seen some of the tangible outcomes of this as my daughter seems to not be as quick to react as she was before reading and learning from this book. This is a great book that will truly help you and your kids! 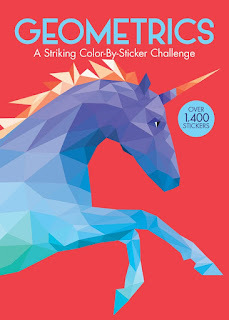 This is a fun book that has so many different pictures within it that will allow you to create some amazing pictures that you and your kids will love to create together. 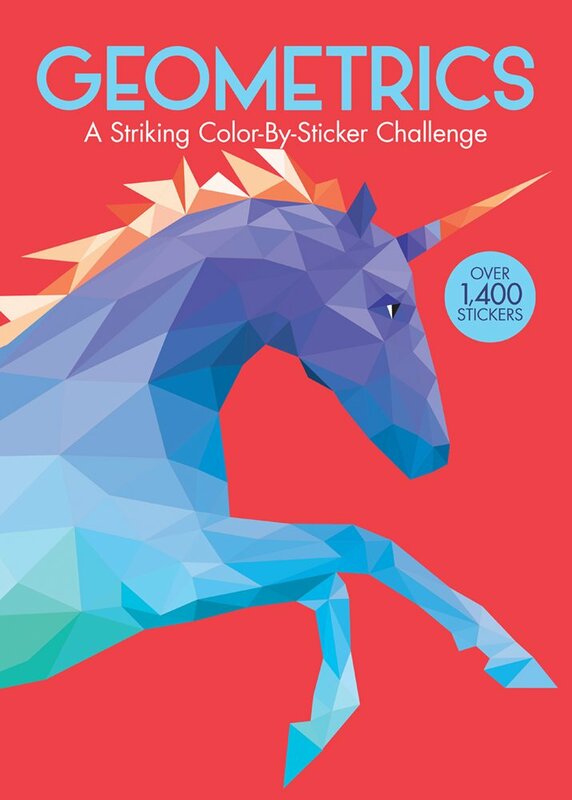 The book has stickers that you will use to create the amazing images! Based on an incredible true story, the heartwarming, family-friendly animated adventure SGT. STUBBY: AN AMERICAN HERO deploys on Blu-ray, DVD, Digital and On Demand December 11, 2018 from Paramount Home Media Distribution. Featuring an all-star voice cast, SGT. 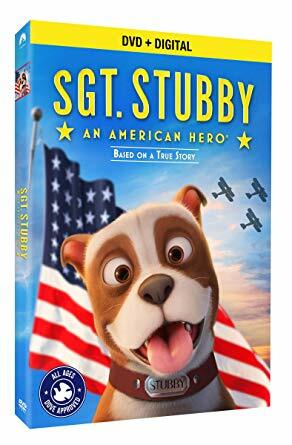 STUBBY: AN AMERICAN HERO has been lauded by critics and received the Dove Foundation’s “All Ages” Seal of Approval and Parents’ Choice Gold Award, making it an ideal holiday gift that the whole family can enjoy. With an original score by Patrick Doyle (Brave) and animation services by Technicolor that combine CGI and vintage-inspired 2D sequences, SGT. STUBBY: AN AMERICAN HERO was produced and distributed by Fun Academy Motion Pictures. Screenwriters are Richard Lanni and Mike Stokey II (Band of Brothers), with editing by Mark Solomon (Chicken Run). With the “War to End all Wars” looming, the life of Army “doughboy” Robert Conroy (Lerman) is forever changed when a little stray dog with a stubby tail wanders into a training camp in New Haven, Conn. Conroy gives his new friend a meal, a name, a family and the chance to embark on an adventure that would define a century. I have heard about Sgt. Stubby in the past but this was the first in-depth examination of the dog in a fun, family-friendly way. In watching this as a family I found that this movie to be a fun movie that really was inspirational. This movie really showed how Stubby went from street dog to K9, You also get to see the very unique and special relationship that Stubby has with Robert Conroy. This was a powerful story that everyone should see that shows you the power of this special relationship and the power of the love between dog and friend. Come and learn about the amazing feats of this great dog!